Munsiyari is a small hill station situated on the foothills of the mighty Himalayan range in the state of Uttarakhand. This small town is known for having the most pleasant weather in the entire district of Pithoragarh. Situated at a height of 2300 m, a major part of this hill station is covered with a thick layer of snow. 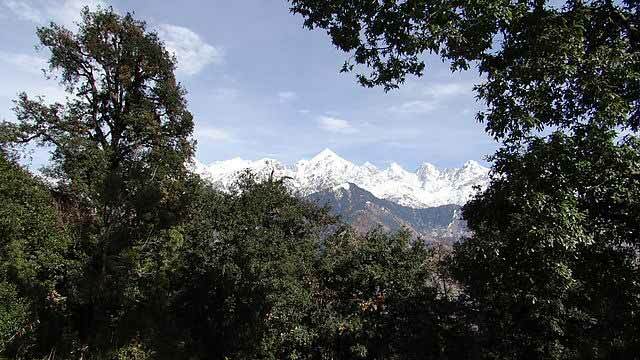 It is because of its snow-clad mountains that Munsiyari is famously termed as the ‘Mini Kashmir’ of Uttarakhand. Safely placed in a close proximity to Tibetan and Nepalese International border, this town is a heaven for adventure freaks and trekking lovers. Munsiyari also attracts a large number of tourists because of the rich species of flora and fauna found here. If you are planning to visit this heavenly town of Uttarakhand, here are the top 5 places that you should have in your visit to Munsiyari. 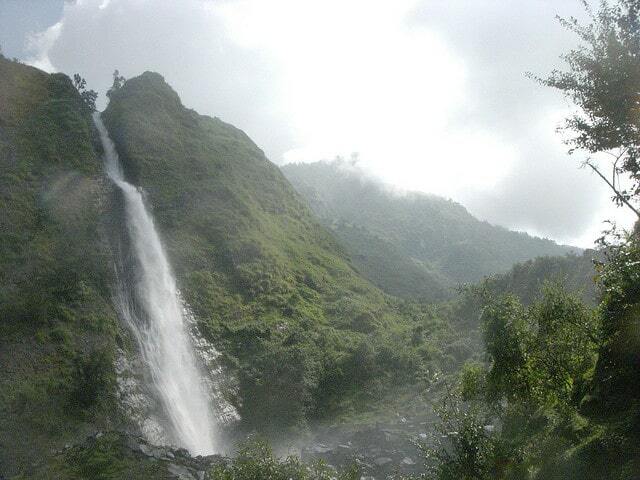 On your way to Munsiyari, you will find this beautiful waterfall called Birthi Falls. It is situated at a distance of 35 km from Munsiyari and is one of the most breath-taking picnic spots in the Kumaon valley. The way to this fall goes through a small trek and you will have to park your vehicle before proceeding on this trek. If you are a trekking enthusiast, you will find this trek highly exciting as it is devoid of any railing and is open on both the sides. A large number of tourists visit Birthi Falls because of the rare varieties of butterflies and sparrows found here. On the way to Munsiyari town lie an elevated tourist spot known as Kalamuni Top. It lies 14 km ahead of Munsiyari and is situated at an elevation of 9600 feet. Kalamuni Top is an important religious centre for the locals as it houses an ancient temple dedicated to Goddess Kali. The wonderful view of the entire range of Panchachuli Mountains is another reason that attracts you to this spot. Interestingly, the temple at Kalamuni follows a tradition according to which the devotees tie bells in the temple compound while praying to their deity. Thamri Kund is a perennial lake and is one of the most ravishing fresh water lakes in the entire region of Kumaon Valley. A beautiful trek surrounded by thick trees of paper leads to this lake. The trek takes around 8 hours to reach the lake from the township of Munsiyari and therefore one should cautiously start their journey in early morning hours. The entire lake of Thamri is surrounded by a thick network of alpines which present a magnificent view of the place. One can also spot a musk deer drinking water in the lake. Maheshwari Kund is an ancient lake and has got a deep mythological value attached with it. It is believed that when the villagers of Munsiyari dried this lake in an act of vengeance, Yaksha decided to take revenge upon them. Consequently, the entire town was struck with a series of droughts until the villagers apologized before him. Even today, this ritual is valued by the locals of Munsiyari. Maheshwari Lake provides an artistic view of the Panchachuli mountain range and some rare varieties of shrubs and marsh lands surround it. Situated at a distance of 5 km from Munsiyari, Madkot is popular for its natural springs of hot water. It is believed that the hot water originating from this land is capable of healing health ailments like skin burns, body ache and rheumatism. This small village is isolated from the busy city life and is considered as one of the most peaceful places in the district of Munsiyari. Madkot has an extremely pleasant temperature and leaves you stunned with its magical aura. One can look out for cab services to reach from Munsiyari to Madkot. Apart from the above mentioned tourist spots, one can enjoy numerous glaciers on their trip to Munsiyari. Ancient tribes, breath-taking views of snow clad mountains, waterfalls, natural lakes, rare varieties of birds and numerous temples are few of the many features of this place that make you fall in love with it. Munsiyari is also being developed as a major centre for skiing activities.